Ten spots, a high-traffic search query, tons of relevant apps – what’s a search algorithm to do? Prioritize, of course, so that any user searching for an app by entering a keyword query will be satisfied with the products offered to him/her in the results. Although this is generally the case, we’ve discovered a black hole in the iTunes search algorithm, leaving fans of slots apps very disappointed. 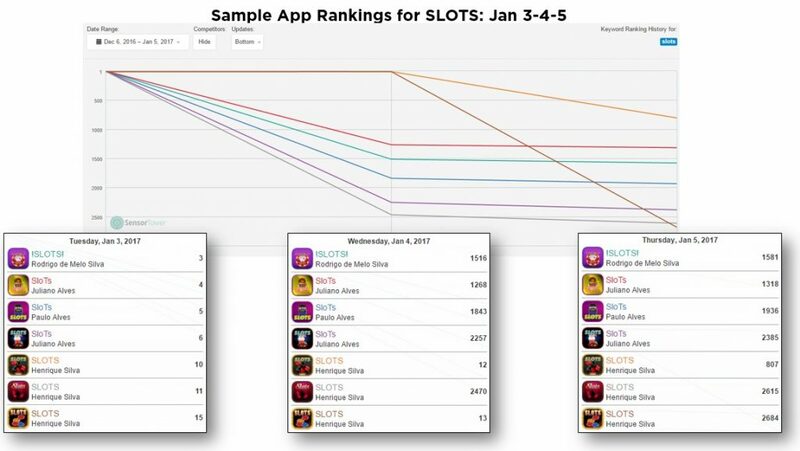 While you would expect results for a search for SLOTS to return well-reputed, high-quality slots apps (there’s no lack of them), lately users are instead shown a top ten FULL of lousy apps. Remember the September Apple update that had everyone buzzing about a noble purge of bad-quality apps to uphold the store’s integrity? Well, just as bacteria grow immune to antibiotics, spammy apps have simply found new ways to ‘make it’. Below you’ll find our exposé, including an overview of the common traits these apps and developers share; our theory on how they achieve top 10 rankings for SLOTS; and a review of the nasty implications of the situation for users and developers alike… which is why the trend needs to stop. Just How Lousy Are They? As ASO professionals, there’s nothing more frustrating than unpredictable algorithm changes and inexplicable ranking behaviors. While we often battle against competitors using black hat techniques to boost keyword rankings, this time the situation was more complex. The strangest part of the trend was the recent launch dates. Why would a developer consistently and continuously release new apps? While more and more apps seem to be using questionable black hat methods (such as incentivized keyword search-and-download campaigns), the above apps’ strategies have been harder to crack since they were just launched and shouldn’t yet appear in search results. 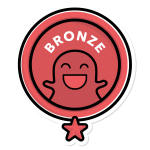 Also, such incentivized campaigns are generally very expensive considering the amount of traffic needed to beat out the competition. For ~150 installs total, the cost wouldn’t be reasonable. This led us to believe that the key is the newness of the apps. iTunes often gives ranking priority to apps when they are just launched. This advantage would mean a new app would not need as much incentivized traffic to achieve top rankings for a highly-competitive keyword. Once the new app is 2-3 days old, this newbie perk weakens or expires, so the app requires more incentivized traffic. It would be more profitable to just churn out a new, simple app each day with minimal budget than maintain the high-cost campaign. Or, there’s something else we’re missing… For now, this seems to be the most reasonable explanation. The real question is, why hasn’t iTunes rejected these publishers and their submissions yet? What happened to the quality of the algorithm and review process? Whether you’re an app user, develop or marketer, these ‘bad apples’ are ruining it for all of us. The fact that these apps are ranking so high for such a central keyword has several longer-term implications. Users are not being offered the best of the batch and can’t trust search results suggestions. On Jan 18th, for example, the first well-known, long-standing slots app appears at #18. An App Store user would need to scroll down quite a while until finding a selection of well-reputed, quality apps. This creates overall customer dissatisfaction with the store itself and discourages browsing. 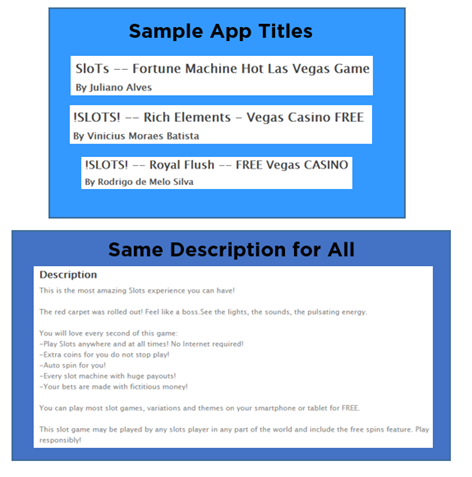 ‘Quality’ slots apps are missing out on organic installs. ASO attempts to work within the system to boost keyword rankings for apps, by playing by the rules and targeting relevant keyword searches. When quality apps establish high rankings, they generally see an increase in organic installs. However, if targeted users are fed a top 10 of lousy apps, the quality apps pay the price, since their search visibility just dropped by 10 positions. As a result, organic installs will decrease and the marketing costs for each new user will increase. That said, lesser-known, newer good-quality apps will be the bigger victims here. While branded apps still get ranked high for branded search terms, the lesser-known apps depend on generic searches. Best practices exist for a reason – to ensure quality and integrity so the public will ‘trust’ services and products. While loopholes will always be found and manipulated, they also need to be shut-down when identified – for the benefit of all parties. Reporting these and other obvious Black-Hat cases to iTunes is a good first step. 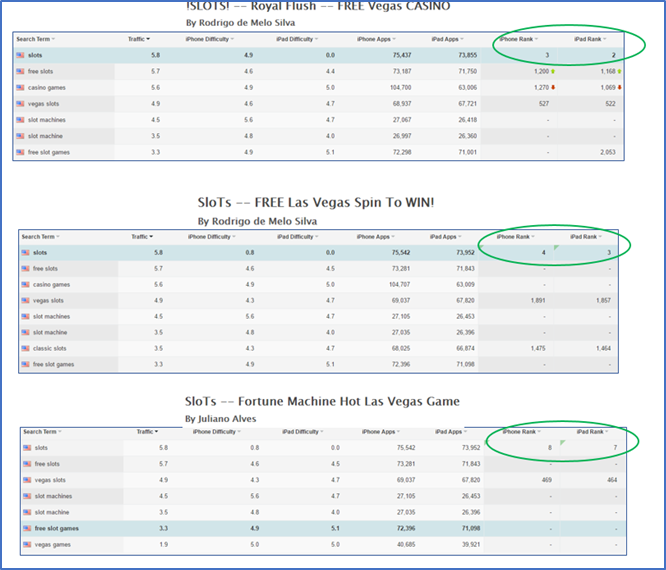 Legit Slots Developers – What Should You Do? This is an obvious loophole in iOS’s algorithm and has been going on longer than expected. We encourage our clients, as well as any other slot games developer out there to contact iTunes and ask them to fix this breach as soon as possible. These apps provide a low-quality browsing and gaming experience, which hurts the App Store’s credibility, so fixing this should be in iTunes’ interest. Because yellowHEAD provides ASO services for most of the major slots apps including Slotomania, Jackpot Party, Heart of Vegas, GSN Casino and others, this article focuses on our discovery for SLOTS in iTunes. Have you noticed this trend with other basic high-traffic keywords in other verticals? If so, let us know on our Facebook page!